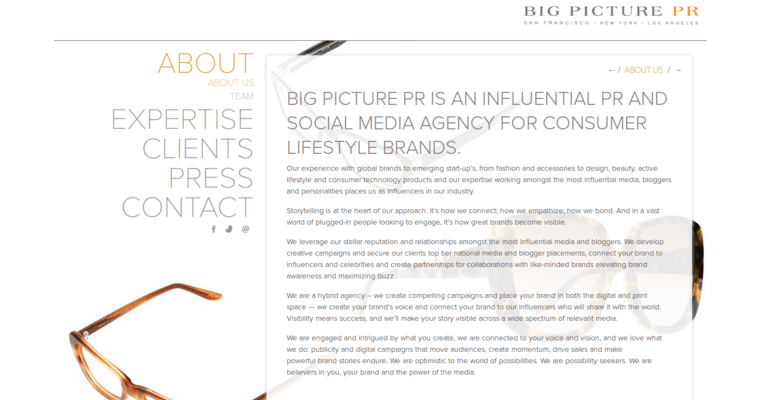 Big Picture PR is a public relations firm with a strong focus on seeing the whole picture of your campaign. They have a strong program in place to provide influential PR and social media advertising. They have experience with all sorts of global brands, whether they are startups or huge corporations. Digital marketing is their forte, and they want to help you grow your brand to the next level. 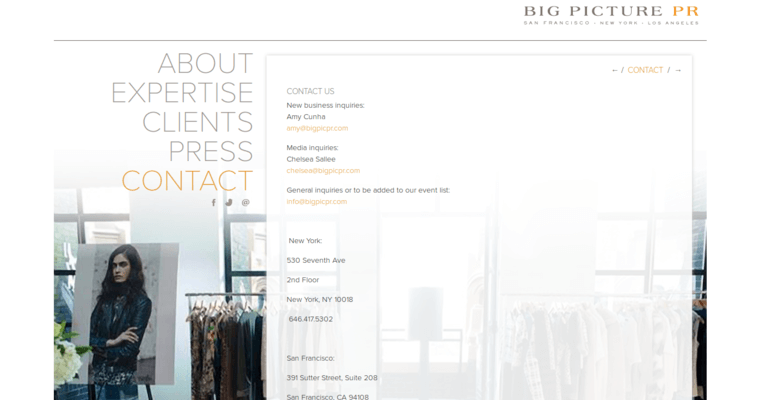 Big Picture PR has worked with a very influential list of people, media, bloggers, and influencers over the years, allowing for them to better connect with a wide range of media outlets to help their clients. The more connections a PR firm has developed the better. It opens the door for any new business to connect with the Internet through different platforms. This digital firm wants you to grow from the ground up, and it all begins by having them see the big picture.